Imgur back in March 2015 released a much improved iPhone client for browsing the fascinating world of animated GIFs, replacing its original iOS app which got removed from the App Store due to user complaints. 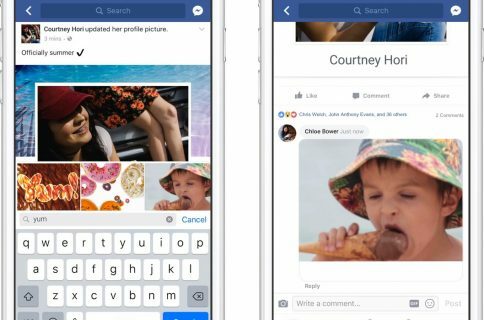 Tuesday, they refreshed the software with a key feature request from many users: the ability to directly upload your own images and animated GIFs to the service. Previously, you had to use a different app to send your memes to the service or resort to using the web interface. The new version of Imgur for iPhone now makes it easy to send an image or animated GIF from your iOS Camera roll to the service. Additionally, you can now take snaps within the app to upload to Imgur. Imgur for iOS lets you browse the millions of GIFs and viral images available on the service, share reaction GIFs from your favorites, upvote/downvote and more. Now with upload! Build a spiffy new post with your camera, camera roll, Imgur favorites, Imgur React, and a healthy dose of your superior storytelling abilities. Your profile is now in the tab bar, allowing you to easily find all of your uploads, favorites and comments. Bug fixes: browsing Imgur will be as smooth as a ride in a 1975 Cadillac Eldorado. Imgur’s iOS refresh comes on the heels of a brand new Android app release this morning with card-based interface, the ability to create and share visual stories, browse trending content, uproot and down vote individual images and much more. 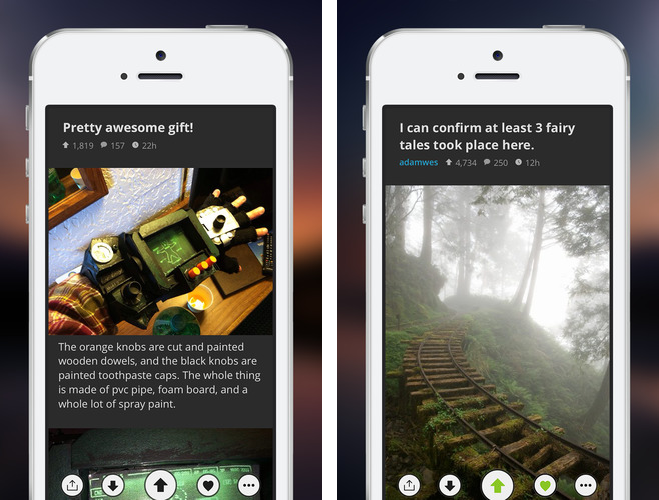 Imgur for iOS requires an iPhone or iPod touch with iOS 7.0 or later. The company also has another iPhone app in the App Store to help you create your next meme. Download Imgur free in the App Store.